The expectations to strenghten Europe’s competitivness has never been higher. In addition to ensuring sufficient investment in research and innovation, this calls for a continiously improved climate for entrepreneurship and job creation. The added value of entrepreneurship for society as a whole goes well beyond the creation of start-up companies. Broad entrepreneurial competences are needed to address the changing needs of society, to meet the expectations of the labour market and, ultimately, to empower the economy’s capacity to innovate. 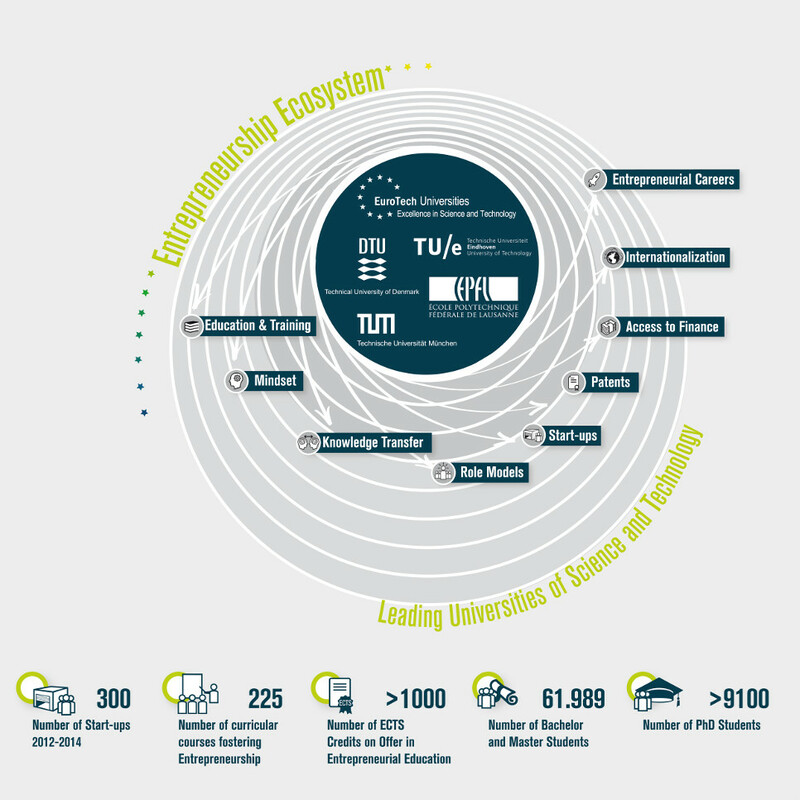 The EuroTech Universities Alliance provides a unique framework to exchange and promote entrepreneurship activities across-borders, thereby offering the potential to achieve true synergies in supporting and achieving entrepreneurial outcomes. Each of these four sections highlights general challenges and the EuroTech Universities’ most prominent activities. The paper concludes with some considerations on how universities can be further supported in their task of nurturing the entrepreneurs of tomorrow that Europe is calling for.